In this week's issue of our environment newsletter, we look at how to make your home more eco-friendly, how climate change is affecting the U.S. military and a novel way of recycling styrofoam. A couple of issues back, we looked at the carbon emissions of buildings. Many of the prescriptions for making buildings more green naturally apply to homes, too. The concept has a name: "passive house," which essentially refers to a building that is maximally efficient, low-cost, environmentally friendly – and comfortable. The concept arose from research funded by the European Union in the 1980s, and has come to influence building codes around the world. This means the structure has an uninterrupted layer of insulation from beneath the foundation to the top of the roof. The home has no air leaks that could lead to heat loss or the accumulation of moisture, which can lead to mould and mildew. This seems obvious, but the caveat is that the windows and doors are so well-designed that they don't allow condensation on the inside. The structure has a ventilation system that moves fresh air in and stale air out of the home, but also captures and releases the heat of the air to help regulate the indoor temperature. A thermal bridge is any spot in a structure that allows outdoor heat or cold to enter the interior, forming a bridge between the comfortable indoor temperature and the outdoors. Thermal bridges not only lead to heat loss or increase cooling demands, but also create cold spots that can attract condensation, leading to mould and mildew. 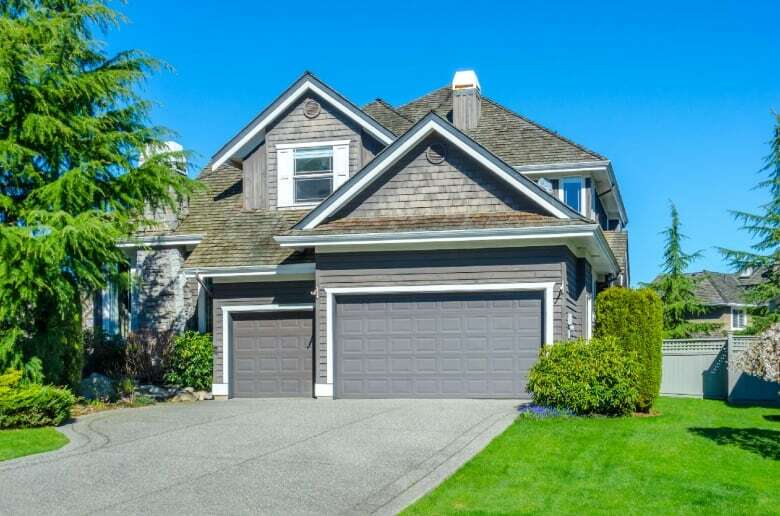 Few homeowners have the wherewithal to incorporate all of these principles in one go – that would likely mean building from scratch. But it's possible to make meaningful changes in an existing home, said Rob Bernhardt, CEO of Passive House Canada. "If there isn't the opportunity to do it all it once, there's the possibility of doing it step by step." Bernhardt said the key is to begin with a professionally prepared plan, recognizing that different components of your home are going to reach "the end of their useful life" at different times. Your windows may wear out sooner than your furnace, for example. But maybe your siding is the most pressing order of business. Address the components as they come up, he said, and then replace them "with something that is truly high-performance." So, if you need new windows, perhaps opt for ones that are triple-paned and contain gas (like argon) that effectively insulates them. If you need new siding, Bernhardt suggested using the opportunity to bolster the insulation of the exterior walls, or make them more airtight (using what Bernhardt calls "high-performance building wrap"). Bernhardt said that most of the materials used in buildings nowadays are suitable for a passive house, which means that even if you can't do a wholesale retrofit at once, developing a plan will ensure anything you do will bring your home closer to the passive house ideal. At the end of last year, we asked whether you were planning to adopt any green resolutions for 2019. We're three months into the year, so we were wondering: How are those resolutions going? Have they been challenging? Mostly successful? Let us know! In October, a competition called the NextGEN Cup Challenge invited inventors from all over to design a sustainable solution to the paper takeout cups that tend to pile up in landfills around the world. The winners were announced last month, with the top contenders taking home up to $1 million US each in funding for their products. Six of the winners moved on to a business accelerator where their ideas will be explored with the help of big-name partnerships like Starbucks. Starbucks announced this week that it will be experimenting with the winning ideas at its Vancouver locations. Ideas for the challenge were divided into three categories: innovative cup liners, new materials and reusable cup service models. In the innovative cup liners category, inventors aimed to replace the usual plastic lining. The Earth Cup, above, by C.E.E R. Schislerin France is one example. Made entirely of paper, the Earth Cup is not only recyclable but also home-compostable — not to mention that, like polyethylene cups, it passes the food contact certification. One idea that didn't make the cut but still deserves mention is the Mushroom Cup. Created by U.S.-based Concentric LLC, this cup is made, at least partly, with fungi — specifically, mycelium, the branch-like structures that stick out of fungi. 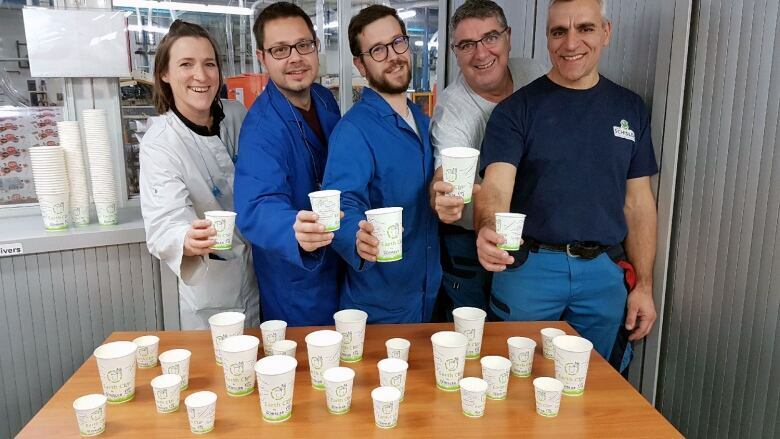 The framework of the cup is also made of a base organic material such as corn husks or discarded grains, and is lined with cellulose acetate, a biodegradable plastic that is waterproof. The NextGEN challenge is "an incredible opportunity, for this moment in time, to identify or discover bio-benign, nontoxic alternatives to plastic for food and beverage packaging," said Dianna Cohen, CEO of the California-based Plastic Pollution Coalition, which wasn't involved in the challenge. Cohen thinks a challenge like this is very productive, but emphasized that we as a consumer society need "a major system shift away from single-use plastics." "Ultimately, we need to look to reusable models, so we produce a container that will be used hundreds or thousands of times." The evidence of climate change is becoming increasingly obvious. While U.S. President Donald Trump's dismissive rhetoric has emboldened some skeptics, the country's military planners are not among them. 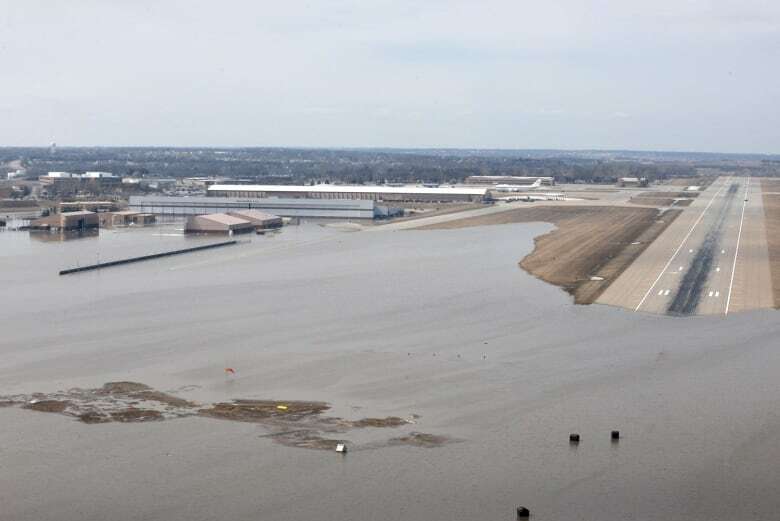 A recent "bomb cyclone" in the U.S. Midwest led to flooding, including at Offutt Air Force Base, below, near Omaha, Neb., much of which was submerged by the rising waters of the Missouri River. Offutt is home to U.S. Strategic Command, which oversees nuclear deterrence and global strike capabilities. Earlier this year, the Pentagon issued a report warning that many military installations in the U.S. are at risk of flooding or drought. While they weren't topline items, this week's federal budget did contain some green incentives for consumers. There's a $5,000 federal rebate for the purchase of electric or hydrogen fuel cell vehicles under $45,000, and plans for subsidies for homeowners and businesses who want to undertake environmentally friendly retrofits on their buildings. When it comes to leadership on climate action, the countries that get most of the credit are typically in Europe. But Costa Rica (population: five million) appears to have cleared one of the biggest hurdles in reaching a zero-carbon economy: completely renewable energy. Owing to its geography, natural resources and smart planning, the country recently went 299 days in which it was powered solely by green energy (mainly wind, hydro and geothermal). In Denmark, a company is doing a pilot project that aims to show that simple stones, heated to 600 C, could potentially be a way to store energy from green sources like wind and solar. It's technically called high-temperature thermal energy storage, and Tommy Ahlers, Denmark's minister of education and research, said it "could be the missing link in our renewable energy transformation." 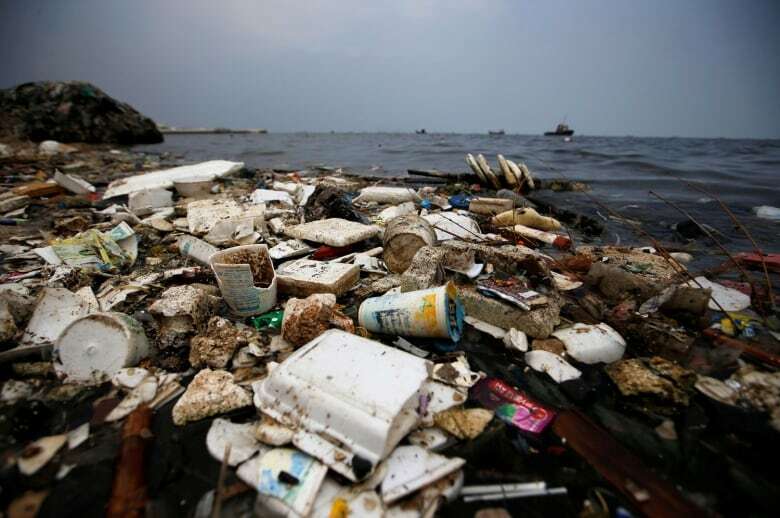 A couple of weeks ago, Andrea Kay wrote about the problem of polystyrene foam, commonly called styrofoam, and the fact that very little of it gets recycled. Eighty per cent of the plastic foam discarded in Canada ends up in landfills or waterways, and most communities in Canada don't accept it for recycling. And why is that? It's lightweight and bulky, making it expensive to collect and transport; it breaks apart easily, contaminating other recyclables; and many municipalities struggle to sell it, especially since China closed its doors to a lot of foreign recyclables in 2018. But what if there was a way to make discarded styrofoam more valuable? Brantford, Ont.-based startup GreenMantra is trying to do just that, and CEO Jodie Morgan thinks it's the key to boosting recycling rates. "We can create products that can have much more value than the original plastic," she said. Most plastic packaging is very cheap and is recycled into other low-value products. Styrofoam electronics packaging and dishware, for example, are often turned into picture frames and mouldings. Domenic di Mondo, GreenMantra's vice-president of technology, said it's often hard to combine a mixture of different kinds of "recycled" styrofoam to manufacture a single product, such as insulation. GreenMantra's solution is a "chemical recycling" process that breaks the polystyrene molecules into smaller molecules that behave completely differently from polystyrene. These can then be sold as additives for inks and coatings in the printing industry. They can also be used to homogenize a mixture of different kinds of styrofoam so that it can be turned into new products. Morgan likens it to the emulsifier that keeps the oil and water from separating in a bottle of salad dressing. GreenMantra has just built a new demonstration plant in Brantford that it expects to start running in the next month or two. The company has been buying styrofoam from communities and industrial facilities. Di Mondo said the goal is to show that waste plastic has value, and thus motivate more communities and companies to collect it. GreenMantra isn't the only Canadian cleantech startup using new technology to tackle the styrofoam recycling problem. Our readers have flagged some others. We'll have an article soon that takes a more detailed look at other solutions.